The purpose of this Call for proposals is to provide funding through collaborative research projects that aim to enhance research-based knowledge development in Romania. - To support an active participation of Romania in the European Research Area, including increasing the potential of Romanian researchers for further applications to EU framework programmes calls and other international funding sources. The distribution of grants will be based on scientific and technical quality of the research projects. The Call supports collaborative research projects in basic and applied research and it is open for interdisciplinary projects1. 1 According to the State Aid Scheme, the eligible activities are: basic research, industrial research and experimental development. Research on the climate changes and/or extreme natural phenomenon impact on natural and anthropogenic systems. • Technologies and applications of Big Data and/or Internet of things (IoT) for public administration, education, agriculture, health, banking etc. For the key topic „Roma inclusion and empowerment” under „Health” and „Social Sciences and humanities, including gender studies and social inclution studies”, the projects shall contribute to enhance the understanding of the situation of the Roma population, and include specific research questions relevant for improving the situation of the Roma population. Project applicants shall involve and engage (pro) Roma organisations in formulating relevant research questions to be included in the project applications, and consult such organizations during the project’s implementation. All thematic areas could contribute to the improvement of the situation of Roma population. The involvement of master students in the research projects is ensured by „Education, Scholarship, Apprenticeships and Youth Entrepreneurship” Programme through scholarships granted based on dedicated call for proposals. Thus, the students going on mobilities were able to take part in research activities and become part of scientific networks that linked Romania and Donor States. It is reccomended that the research projects with results related to the needs identified by companies and market demands to apply to the „Bussiness development, Innovation and SMEs Programme”2 in order to speed up their commercialization. - Other eligible partners are Research Organizations from third countries but they cannot receive funding from the project grant. Proposals for Research Projects shall be submitted by a consortium comprising at least one Romanian and at least one Donor States entity (from Norway, Iceland, Liechtenstein). For each proposal, the Project Partners shall designate a Project Promoter (PP) which has the scientific and administrative responsibility for the project, and shall submit the proposal on their behalf. The Project Promoter shall be a Romanian research organization. For each research project, the Project Promoter designates a Principal Investigator (PI), a researcher who provides the scientific lead of the research project on a daily basis. The amount of EUR 16.312.500 is made available under this call. The minimum amount of grant assistance to be applied for is EUR 500.000 and the maximum amount is EUR 1.500.000. Duration of a project could be up to 48 months with the possibility of 12 months extension, with no additional funds. No less than 10% of the total eligible expenditures of the call shall be dedicated to projects falling primarily within the key topic ‘Roma inclusion and empowerment’. - Indirect costs (overheads) – a flate rate of 25% of the total direct eligible costs, excluding direct eligible costs for subcontracting and the costs of resources made available by third parties which are not used on the premises of the beneficiary, as well as financial support to third parties. The description of the categories of costs listed above can be found in “Guide for applicants - Call 2018”. The first and final dates of eligibility expenditures of each project will be stated in the project contract. The currency to be used for proposal submission is EURO. The grant contract will be concluded in RON. The value in RON will be determined by using the official EC exchange rate from the date (month) of signing the contract (Info Euro). Proposals are submitted electronically in English language to the online submission platform: www.uefiscdi-direct.ro. Only the PP is authorized to submit a proposal, using its own credentials (username and password). After submission, an acknowledgement of receipt is sent to the PP. The proposals must be submitted by the PPs no later than 1st of October 2018, 4:00 PM (Romanian time). Detailed explanation about the application process is given in a separate document called “Guide for Applicants – Call 2018”. The selection of scientific proposals for funding is based on peer-review evaluation. The proposals are evaluated by international independent experts with a high level of professional experience and a good international visibility in a specific research area. Before proceeding to the evaluation, proposals are checked by the Programme Operator against the eligibility criteria applicable to this call. Proposals failing any of the eligibility criteria do not enter the evaluation process. The evaluation process of the eligible proposals has the following stages: individual evaluation, consensus assessment and panel review. A proposal can obtain a total number of 15 points in the evaluation procedure. In order to be considered for funding, a proposal must receive at least a score of 9, and pass all the thresholds. The applicants are encouraged to read “Guide for Evaluators – Call 2018”, which gives detailed information on the evaluation. The Programme Operator prepares a preliminary ranking list, one for each thematic area and one for the projects under the key topic “Roma inclusion and empowerment” with a suggested grant amount for each proposal. Prior to the Programme Committee meeting, the Programme Operator will provide access to the Programme Committee members at evaluated proposals, individual reviews, consensus reports and panel reports. The task of the Programme Committee is to decide about the final ranking order of the proposals on the basis of the total consensus scores assigned to the projects and the panel reports. While discussing the final ranking lists and making recommendation for funding, the Programme Committee takes into consideration the overall quality of the evaluated proposals, indicative budget of each thematic area and number of proposals to be funded. 3) Young researchers (up to 5 years after awarding PhD). Within the Social sciences and Humanities thematic area, there will be an emphasis on gender studies and social inclusion studies. The Programme Operator awards individual grants to projects based on the final ranking lists approved by the Programme Committee. The Project Promoters who wish to appeal the final results could send their complaints to the PO. The comments and scores given by experts and members of panels will not be subject to appeals. Grounds for appeals include conflicts of interest and errors in administrative procedure. The Project Promoters of proposals that have been awarded a grant are invited to begin negotiations with the Programme Operator. After successful negotiations, the Programme Operator proceeds to the conclusion of a formal Project Contract between the Programme Operator and the Project Promoter. The Project Promoters shall submit to the Programme Operator, in English, an annual scientific and financial progress report and final report (a final project report upon the completion of the project). 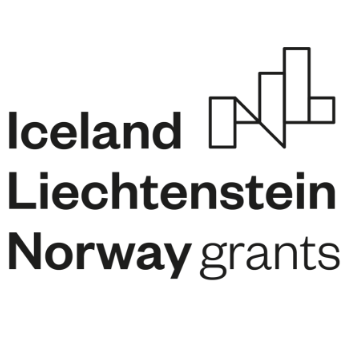 According to the Regulation for the implementation of the EEA and Norway Financial Mechanisms 2014-2021, payments of the project grant can take the form of advance payment, interim payments and final payment. The purpose of the advance payment and the annual interim payments is to ensure that the Project Promoters and Project Partners have a positive cash flow during the project implementation and appropriate provisions shall be set in the project contract and the partnership agreement. - An advance payment of a percentage of the total grant amount shall be made upon signature of the contract between the Programme Operator and the Project Promoter. The value of the advance payment, in all cases, should cover the first year of the implementation of the project. - Interim payments will ensure positive cash flow for all subsequent reporting periods (year). The interim payments will be granted at the beginning of the subsequent reporting periods and will be calculated based on the cash balance at the end of the previous reporting period. The Project Promoter should ensure that all appropriate payments to the Project Partners are made without delay, and no later than 15 days after the Project Promoter has received payment from the Programme Operator. - State Aid Scheme for financing the RD projects within the Programme (RO 02) financed through EEA Financial Mechanism 2014-2021 and Norwegian Financial Mechanism 2014-2021.